“If you really want to understand what is going on in a society, read its poets.” This wise piece of advice came from my seminary homiletics professor. “Reading the poets” has, for me, included a long- standing love of live theatre. 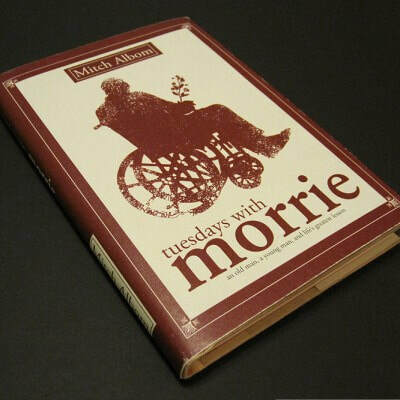 Tuesdays with Morrie is an adaptation for stage of the book of the same name, written by Mitch Albom.1 It’s the true story of sportswriter Mitch Albom and his favorite college professor, Morrie Schwartz. After graduation, Mitch promises to keep in touch­­—a promise he soon breaks. Eventually, he becomes a hard driving sports writer. As his career flourishes, his income and status increase, but he is driven ever harder to stay on top. By chance, Mitch happens on an episode of Nightline on which his old professor, who is living with life-limiting challenges of ALS, is being interviewed. Mitch squeezes time from his schedule to pay a short call on his former mentor. To his surprise, Mitch is warmly welcomed by his old professor, who asks him to continue visiting. Reluctantly, Mitch agrees, and soon a regular pattern emerges. Every Tuesday, Mitch comes to visit Morrie. And every Tuesday, student and professor talk—about life, forgiveness, regrets, money, marriage, family . . . and death. Tuesdays with Morrie forces the audience to think about life in the face of imminent death, suffering, and about the importance of relationships. I came away from this play struck by the realization of how truly difficult it is for the Christian faith to speak to the Mitches and Morries of our culture. In large part, this difficulty arises, I believe, due to how Christians explain what was happening at the crucifixion of Jesus. The crucifixion, and what it was about, is absolutely central to the Christian faith, and critical to how Christians understand the meaning of life, suffering, and death. Yet, if Tuesdays with Morrie reflects our culture, the traditional explanations of what was happening on Good Friday, known in theology as theories of atonement, are simply not connecting or resonating with secular people in our culture today. These historic explanations do not directly address the anxieties of our contemporaries, like Mitch and Morrie, and that means the church in the western world has a serious problem. Hall says that a second type of theory, this one revolving around the idea of sacrifice, dominates the medieval period.7 The chief angst of society had changed. Amid the rubble of the Roman Empire, with one hegemonic church that often emphasized the endless and horrific torments awaiting guilty souls who would be judged by a terrifying and vengeful God, and in a culture where life was often “nasty, brutish and short,” it is hardly surprising that the “dominant anxiety” became that of “guilt and condemnation.”8 It was this anxiety which St. Anselm (1033-1104) addressed in his seminal work, Cur Deus Homo.9 He argued that God had to become a human being to solve the human problem of sin, because only God, by becoming human, could pay the just debt or penalty that divine justice demanded, and which Jesus did by accepting death, the consequence of sin, even after living a sinless life. The third type of atonement is especially associated with Peter Abelard (1097-1142). For Abelard, Christ’s suffering and crucifixion radically change the person who, having been exposed to the story, is moved to a “new consciousness of God’s love.”10 This explanation spoke powerfully in the late 18th through early 20th centuries to those who were experiencing extremely unsettling social, political, and economic changes. In Albom and Hatcher’s play, we hear a contemporary “poet” speaking­­—and clearly resonating with our society. By contrast, the failure of these traditional explanations to connect with our society is demonstrated, and pointedly so, in the conversations between Mitch and Morrie. My intention is not to disprove any of these historic explanations. Each has scriptural support. Rather, my thesis is that none of these historic theories resonate well with secular people in western society, at least not in the forms in which they were originally set forth. None of them speak—at least not without some significant reworking­­—to the anxieties which dominate our culture. Even with reworking, it may be that we need to look beyond these three historic approaches to new ways of explaining what was happening on a cross two thousand years ago, and why it has relevance today. Beginning in the 1950s, theologians in Central and South America reworked the liberation explanation of the atonement (Christus Victor) so that it could actually be heard by people who quite justifiably felt trapped by poverty, by economic and political exploitation. The actual experience of the poor “led liberation theology to speak of salvation in Christ in terms of liberation.”13 Perhaps western theologians also need to rework the liberation explanation of the atonement. Can it morph once again and speak about being set free from the mad rush of contemporary life, the “rat race” as Mitch described it? Explanations of the atonement that revolve around sacrifice and dealing with human guilt before a holy God are unquestionably dominant among Protestant Christians. The reality, however, is that very few in western society go about daily life fearful that they are “sinners in the hands of an angry God.” Whether that is their situation is not the point. The point is that it is not felt. Moreover, the notion of one being punished for another is still seen as morally repugnant. “What kind of ‘father’ would make forgiveness conditional upon such an act?”16 Also repellent is any picture of God the Father as an uncaring parent, unmoved by his child’s suffering. Yet, at times, St. Anselm, whose name is most prominently associated with a sacrificial understanding of the atonement where Jesus’ death satisfies or repays the debt of original sin, does seem to paint just that picture. Regardless of the fact that some of these criticisms stem from an inadequate understanding of the oneness of God—that whatever was happening at the atonement involved God sacrificing at least a dimension of himself (God taking his own medicine so to speak)—sacrificial explanations of the atonement are heard by some within secular western culture to be describing God in repellent ways. Even though there may be little or no sense of guilt in relationship to God for many secular folk, and limited sense of a universal moral law, there is frequently a sense of profound guilt in relationship to other people. As it turns out, both Mitch and Morrie suffer from precisely this sense of guilt. Do We Need New Explanations of the Atonement? Even assuming a good deal of such rethinking and reworking, the historic explanations of the atonement may not be adequate in our culture. Perhaps none speak directly enough to the primary anxieties of our society. If Tuesdays with Morrie accurately represents our society, those anxieties would seem to be threefold. Second, our culture is characterized by isolation or loneliness. Mitch is a picture of someone who, though surrounded by people, is still somehow isolated. His is not an unusual experience. For employment reasons, many in our culture live far from family. Many have experienced estrangement from spouses or children through divorce. Most of us live in urban settings where, with hectic job schedules, it is quite possible barely to know any neighbors. Third, how do I live life well now—never mind about the question of any hereafter—is what creates interest, debate, discussion, and anxiety in our culture. This might be described as a friend expressed it once, as a fear of living life without truly living, a sort of death in life. Indeed, the whole point of Morrie’s last “class” is just that—teaching his last student, Mitch, how to live well now. As one who straddles the fence of both academy and pastorate, I am increasingly coming to the conclusion that the absolute minimum we need is reworking and saying in new ways the historic explanations of the atonement. But it may be that we need a new theory (or theories) of the atonement which directly addresses the angsts of our society, instead of the anxieties that dominated the ancient and medieval worlds. The diamond of the atonement has many facets. There are in fact a number of creative and thoughtful efforts which in the last few decades have been set forth to explain the significance and meaning of Jesus’ death to modern western secular people, explanations that are clearly drawn from the biblical witness. I will mention just two examples which seem to me to be especially helpful ways of speaking to our society and its angsts as we see them represented in Tuesdays with Morrie. According to this view, by dying on the cross, Jesus Christ was stopping evil by absorbing it, and his followers are expected to do the same. The initiative for reconciliation always begins with God; God is always the waiting parent, willing to welcome and receive. But “the process is a living, personal one,” and must be continually expanding.33 Christians are, as Moule puts it, called to be “absorbing poison . . . neutralizing the disease.”34 This is an answer to the “how do I live well now” question. It is not an easy answer, but it certainly has depth. As Tuesdays with Morrie progresses, the audience sees Morrie becoming increasingly frail. The muscles he is able to control grow fewer and fewer as he is ravaged by the incurable and terminal ALS. Eventually, Morrie’s ability to breathe begins to fail, and inevitably, he dies, leaving Mitch to try to make some sense of what has happened. How can Christianity speak to people like Mitch and Morrie? Perhaps the way to begin answering that question is simply to begin asking another: What would good news have sounded like to Mitch and Morrie? But to answer that question, we need to be able to explain what was happening on that cross outside Jerusalem two thousand years ago, and why it is of any possible relevance today. Whether the historic theories of the atonement can, albeit reworked, still speak to our secular culture, or whether these traditional approaches must be supplemented with new understandings, Tuesdays with Morrie challenges Christian theology and Christian churches in the western world. We simply must give more than cursory attention to the Mitches and Morries who are our neighbors, friends, and co-workers if we are serious about telling the Gospel story in ways that can be heard. Jeffrey Hatcher and Mitch Albom, Mitch Albom’s Tuesdays with Morrie (New York: Dramatists Play Services, Inc., 2008). Douglas John Hall, Professing the Faith: Christian Theology in a North American Context (Minneapolis: Fortress Press, 1996), 415. Hall, Professing the Faith, 416-417. There is widespread disagreement among historians about the percentage of people in these centuries who were enslaved. Some estimates run as high as 30%. Hall, Professing the Faith, 423. Anselm, Cur Deus Homo, in Eugene R. Fairweather, ed., A Scholastic Miscellany: From Anselm to Ockham(Philadelphia: Westminster Press, 1956). Hall, Professing the Faith, 430. Hatcher and Albom, Tuesdays with Morrie, 18. Gustavo Gutiérrez, A Theology of Liberation: History, Politics and Salvation, rev. ed., translated and edited by Sister Caridad Inda and John Eagleson (Maryknoll, New York: Orbis, 1988), xxxviii. Colin Green, “Is the Message of the Cross Good News for the Twentieth Century?” in Atonement Today: A Symposium at St. John’s College, Nottingham, ed. John Goldingay (London: SPCK, 1995), 228. Hatcher and Albom, Tuesdays with Morrie, 33. Stephen Finlan, Options on Atonement in Christian Thought (Collegeville: Liturgical Press, 2007), 5. Hatcher and Albom, Tuesdays with Morrie, 31. Hatcher and Albom, Tuesdays with Morrie, 20. Douglas John Hall, The Cross in Our Context: Jesus and the Suffering World (Minneapolis: Fortress, 2003), 132. Paul S. Fiddes, Past Event and Present Salvation: The Christian Idea of Atonement (London: Darton, Longman and Todd, 1989), 56. Paul Fiddes, The Creative Suffering of God (Oxford: Clarendon Press, 1992), 144. C. F. D. Moule, “The Theology of Forgiveness,” in From Fear to Faith: Studies of Suffering and Wholeness, ed. Norman Autton (London: SPCK, 1971), 64, 65. C. F. D. Moule, The Sacrifice of Christ (London: Hodder and Stoughton, 1956), 34. Moule, “The Theology of Forgiveness,” 67.